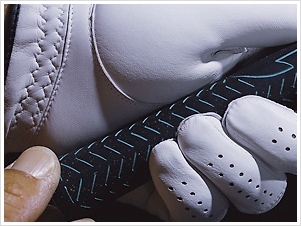 Custom club fitting is widely recognized by PGA Professionals and most high level players as an integral part of their performance on the course and a key component of their game improvement plan. Every level of ability can benefit from custom fitting, and at MK Golf we are passionately motivated by a deep appreciation for the game and a desire to provide the highest level of customer service to all of our customers. As we carefully measure and calibrate the player’s swing dynamics and establish core swing characteristics, we pair that data with the performance characteristics of matching equipment to create a unique club that will improve and elevate a player’s on-course performance. We explain your swing in relation to the variations in golf equipment head geometry, design, and shaft profiles as a part of the process. Based on sound golf swing fundamentals, we identify fitness and swing issues that can influence the fitting process. At times the problem the golfer is trying to fix with a new club is better addressed with golf lessons or fitness training, which we may recommend before changing your clubs. Our goal is always to help the customer become a better golfer and to increase their enjoyment of the great game of golf.